Mobile payments accounted for a third of PayPal’s overall payment volume during the fourth quarter of 2016, the company’s CEO Dan Schulman has revealed, with the total volume of mobile payments increasing by 55% over the course of last year. The company processed US$31bn in mobile payment volume during the fourth quarter, representing a 53% increase on the same period in 2015. The PayPal-owned Venmo mobile payments app processed $5.6bn in total payment volume, up 126% from the same period the year before. “In 2016, we processed 6bn payments — an increase of 24%,” Schulman told investors during PayPal’s fourth quarter earnings call. This represented a total payment volume of $354bn, of which more than $100bn was made through mobile — an increase of 55%. “Between Thanksgiving and Cyber Monday, PayPal processed more than $2bn in mobile payments and mobile accounted for a third of our overall payment volume during the quarter,” Schulman added. “Mobile is becoming an increasingly important competitive differentiator for PayPal — more than half of our active account base transacted on the PayPal platform using their mobile device over the last 12 months. More than 40m consumers were using PayPal’s OneTouch mobile payments solution at the end of 2016, Schulman said, with more than 5m merchants now supporting the platform which was introduced in August 2014. 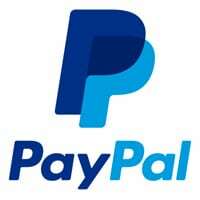 PayPal owns the online market but has not done as well as the NFC systems (Android, Apple, Samsung) at point of sale.